Home / Bible Questions / Voices of Faith / Who was Martin Luther? On November 10, 1483, Hans Luther, a miner by trade, and his wife, Margaretta, welcomed their first baby into the world. Few remember John and Margaret (as they’re sometimes referred to), but everybody knows their son: Martin. In 1497, at the age of 14, Martin Luther was sent to Magdeburg to attend a Franciscan school where discipline was so harsh that Luther mentions having been flogged 15 times in a single day. It echoed and amplified the harsh discipline meted out by his own father, and likely contributed to the tortured sense of guilt and self-loathing he later experienced as a monk. In addition to the severe punishments he received at the hands of his educators, his low station in life also meant that he had to beg for food by singing door to door. In time, he found a benefactor in the town of Eisenach: Ursula Cotta, a woman who had heard him singing in the church choir and had seen the abuse heaped on him by some of her neighbors when he asked for food. Taking pity on the young scholar, she convinced her husband to take Luther into their home, after which he was able to stop begging for food. Of all the books that Luther had pulled off the shelf in his years at the university, this was the one that would launch a revolution. It was the same book that had inspired the early Celts, had galvanized the Waldensians to stand firm in the face of impossible odds, had whispered to Wycliffe that the common people needed access to it, and had steeled Huss to preach the gospel in spite of opposition that would lead to a pyre. 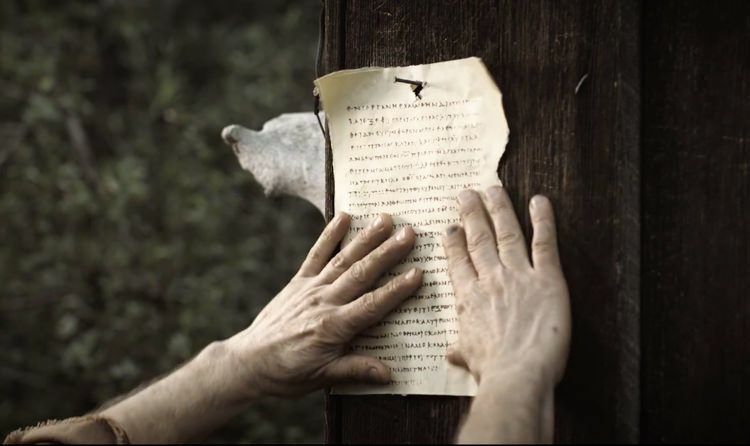 It was the same book that had sparked revivals among the Israelites of old, when they read it aloud in repentance, and the book to which the risen Jesus Himself directed His disillusioned followers when their faith was shattered in the wake of the crucifixion. “And beginning at Moses and all the Prophets, He expounded to them in all the Scriptures the things concerning Himself” (Luke 24:27). There is a reason the Bible stirs hearts unlike any other book: it is the revelation of Christ Himself, from Genesis to Revelation. It does not change hearts merely through persuasive argument or historical fact, although both can be found in its pages. It changes hearts because it is “God-breathed,” and is the voice of the Creator to our world. The moment had come when the first sparks of the Reformation were to be fanned into an unstoppable flame. Luther’s transformation was not instantaneous, but those quiet moments in the library started him down a difficult path to an epiphany that would change everything. He found himself tortured by the uncertainty of death and the hereafter. In the summer of 1505, Luther had another occasion to consider his mortality and eternal destiny. After returning home to visit his parents, he found himself suddenly caught up in a violent thunderstorm on his way back to Erfurt. He was nearing the village of Stotternheim when a bolt of lightning struck the ground so close to his feet that it knocked him over. Terrified, the young scholar yelped out a prayer to St. Anne, the patron saint of miners: “St. Anne! Help me, and I will become a monk.” His fate was sealed. His father had wanted him to be a man of power and influence—a lawyer—but his life had been miraculously spared, and he yielded to the growing conviction he had harbored for some time: that he should enter the ministry. On August 17, 1505, Luther threw a small party for his friends, and when dinner was finished, he left his home, walked straight to the Augustinian Convent, knocked on the door, and to the sharp disappointment of his father, entered the monastic life. Luther’s brushes with mortality caused him a great deal of anxiety, and life in the cloister did not bring him the peace of mind he’d hoped for. In the beginning, during his first year as a novice, he was enthusiastic about his new life. His rigid upbringing and disciplinarian educational experience prepared him for the demanding schedule of monastic life. Prayers were scheduled seven times a day, the first coming in the wee hours of the morning, between 1- 2 a.m. A year later, Luther was convinced he was on the right path and took his vows. He was not to enjoy the quiet life of a monk for long, however. His superior decided that Luther had been called to the priesthood. His father—apparently somewhat reconciled to Luther’s new life—accepted an invitation to be present as the new priest said his first mass on May 2, 1507. At these words I was utterly stupefied and terror-stricken. I thought to myself, “With what tongue shall I address such Majesty, seeing that all men ought to tremble in the presence of even an earthly prince? Who am I, that I should lift up mine eyes to the divine Majesty? The angels surround him. At his nod the earth trembles. And shall I, a miserable little pygmy, say, “I want this, I ask for that?” For I am dust and ashes and full of sin and I am speaking to the living, eternal and the true God. Luther became paralyzed with fear, spilling a little wine and nearly dropping the bread. He turned to the prior who had been assisting him and mentioned that he wanted to stop reciting the mass and leave. The irritated prior urged him to get on with the business at hand, and Luther struggled his way through the rest of the rite. It is true, I was a pious monk, and so strictly did I observe the rules of my order that I may say: If ever a monk got to heaven through monasticism I, too, would have got there. To this all my associates in the cloister, who knew me, will bear witness. If this life had lasted longer, I would have martyred myself to death with the vigils, praying, reading, and other labor. I tortured myself almost to death in order to procure peace with God for my troubled heart and agitated conscience; but surrounded with thick darkness, I found peace nowhere. 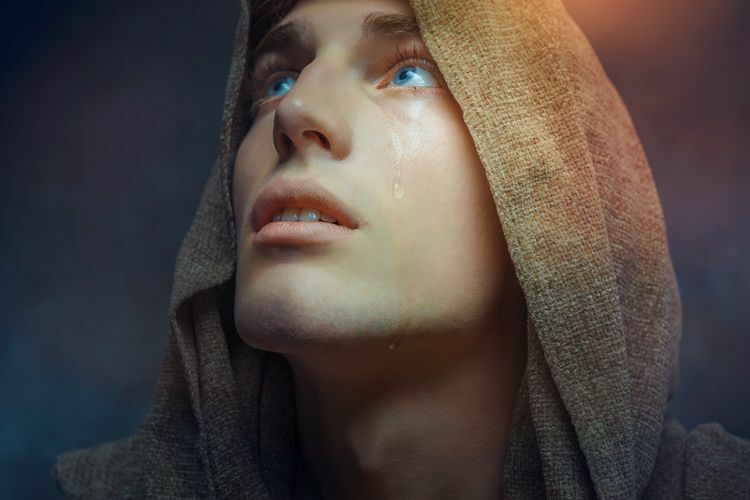 While I was yet a monk, I no sooner felt assailed by any temptation than I cried out—I am lost! Immediately I had recourse to a thousand methods to stifle the cries of my conscience. I went every day to confession, but that was of no use to me. Then bowed down by sorrow, I tortured myself by the multitude of my thoughts.—Look, exclaimed I, thou art still envious, impatient, passionate! . . . It profiteth thee nothing, O wretched man, to have entered this sacred order. Luther took to the confessional like a starving man takes to bread; he couldn’t get enough. His confessors soon realized that he was a tortured soul who would launch into impossibly detailed descriptions of even the most minor transgressions, such as spilling his food or arriving late for choir. His confessions could last for hours at a time, and even when he was finished, he would sometimes think of additional sins on his way out and return to confess them. Luther pushed back. “I cannot and I dare not come to God till I am a better man,” he protested. 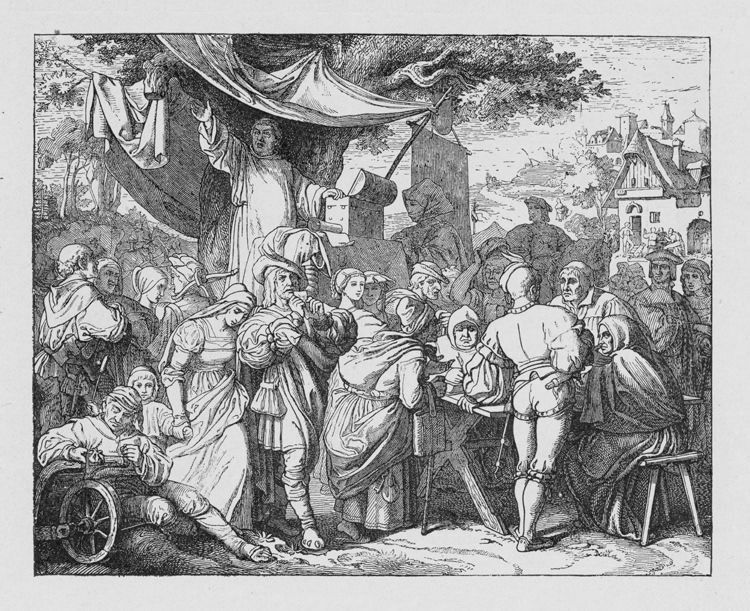 Staupitz gave Luther a Bible before he left Erfurt, and it was the beginning of Luther’s journey to spiritual healing. The first shards of doubt were beginning to pierce his obsession with finding forgiveness and righteousness through his own efforts. Shortly after the encounter, he once again fell ill, and a fellow monk paid him a visit. He recited the Apostles’ Creed in Luther’s hearing, and asked the ailing man to repeat after him. “I believe in the forgiveness of sins,” Luther echoed the monk. In 1510, at the age of 27, Luther was sent to Rome as a delegate to a council called to settle a dispute that had erupted among a number of Augustinian monasteries—a testament to his diligence as a monk and the confidence his superiors placed in him. Naturally, he was thrilled at the prospect of visiting the Eternal City, the center of the world as far as the church was concerned. What he discovered in Rome, however, left him disillusioned. As he crossed the mountains into Italy, he noticed that the monasteries were not simple or austere like the ones he knew at home. The monks who lived closer to Rome were living like princes, in well-appointed luxury, and they disregarded most of the rules of the monastic order in order to live a life of leisure. Rome was little better. When the papacy had moved to France in 1309, the city of Rome was neglected and fell into a state of shocking disrepair. In time, trash and debris littered the streets, wild animals roamed freely, and the countryside surrounding the city became a haven for criminals. The original St. Peter’s Basilica, built by Constantine on the spot where Peter is believed to have been crucified, fell into disrepair. If the city itself had become decrepit, then the morals of the clergy were in even worse shape. Luther had expected the monks and priests of the Mother City to live as he did, in spartan monastic cells on a peasant’s diet. What he found was a degree of self-indulgence and wanton hedonism that made his encounters with the monks of northern Italy seem tame by comparison. The local priests laughed at his simple piety, suggesting that as a German, he did not possess the sophistication they had employed to skirt the system and benefit from it. The Roman clergy considered Luther a dull relic of an austere past. The dejected Luther decided to visit the Scala Sancta, or the Holy Stairs, in order to pray. The stairs, located next to the Lateran Palace, were said to be the very steps on which Jesus left the judgment hall of Pilate on the night of His trial. It was rumored that the stairs, had been brought to Rome by Constantine’s mother, Helena, in the 4th century. Pilgrims, as they still do today, would ascend the steps on their knees in an act of penance, which is precisely what Luther was hoping to do. Partway up the steps, however, a passage from Paul’s letter to the Romans suddenly flashed into his mind so powerfully that it was as if a voice had spoken from heaven: “The just shall live by faith” (Romans 1:17). It was not the first time Paul’s statement—a quote from the Old Testament book of Habakkuk—had electrified his mind. On two previous occasions, the same verse had suddenly inspired Luther in a moment of darkness. This was, however, the decisive moment that changed everything. Suddenly relieved of the need to try and earn his salvation, he rose to his feet and left. He returned to Germany in February 1511, where in due course, Luther was made a professor at the University of Wittenberg. Recognizing Luther’s potential, Staupitz decided that Luther should also become the Chair of Bible at the university, which meant he would have to start preaching publicly. If Luther was required to teach the Bible to others, Staupitz reasoned, he would also have to pay careful attention to its content for himself. It might just be the thing that solidified Luther’s newfound commitment to the doctrine of grace. One day, under a pear tree where Luther was known to sit, the Vicar-General presented the idea. Luther didn’t like the thought of becoming a public preacher, and protested strenuously. His protests fell on deaf ears, however; Staupitz’ mind had been made up. Luther had little choice but to become an expert in the Scriptures. In 1513, he began a lecture series on the book of Psalms. In 1515, he started in on the book of Romans, followed by a series on the book of Galatians . . . which carried him into the fateful year 1517. By that time, the tortuous experiences Luther had passed through, coupled with a concentrated study of God’s Word, led him to become completely disillusioned with an ecclesiastical structure that had obviously become corrupt. He had not yet become Luther the Reformer, but all that changed when a fundraising campaign for a brand-new basilica in Rome pushed him over the edge. Pope Julius II, who had named himself not for the original Pontiff by that name, but for Julius Caesar, had visions of creating the greatest monument to Christianity in the world. 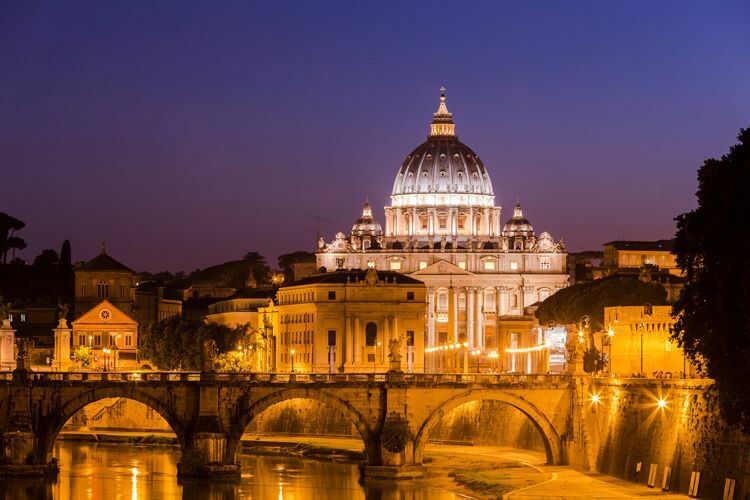 Recognizing that the original St. Peter’s was in a state of decay, he decided to knock most of it down and replace it with a much grander structure, one that would become the greatest building in Christendom and the second-largest church in the world. When Julius II died, Leo X inherited the building project. Leo was the head of the Medici family—bankers to kings and Popes—and knew how to spend money. Before long, the funds earmarked for the new basilica had been spent, and Leo needed to find a new source of money. Recognizing the potential that religion has for creating wealth, on March 15, 1517, he offered an indulgence to everyone who contributed to the building fund. An indulgence was a reduction (or even remittance) of time spent in purgatory, and could be obtained for yourself or for your dead relatives who were said to be suffering there. Across Europe, monarchs grumbled that Rome had thought of yet another way to drain their coffers, until it was arranged in various countries that the heads of state could receive a percentage of what was raised. In Germany, Albrecht of Brandenburg, the Archbishop of Mainz, had borrowed 20,000 florins to pay Rome for his nomination to the post. His creditors, worried he might never pay them back, arranged to receive a cut of each indulgence sold in order to recoup their loan. Albrecht’s chief indulgence salesman was Johann Tetzel, a Dominican friar who had once served as the grand inquisitor in Poland. As he approached a town, he was met by the dignitaries, who then entered with him in solemn procession. A cross bearing the papal arms preceded him, and the pope’s bull of indulgence was borne aloft on gold-embroidered velvet cushion. The cross was solemnly planted in the market place, and the sermon began. Listen now, God and St. Peter call you. Consider the salvation of your souls and those of your loved ones departed. You priest, you noble, you merchant, you virgin, you matron, you youth, you old man, enter now into your church, which is the Church of St. Peter. Visit the most holy cross erected before you and ever imploring you. Have you considered that you are lashed in a furious tempest amid the temptations and dangers of the world, and that you do not know whether you can reach the haven, not of your mortal body, but of your immortal soul? Consider that all who are contrite and have confessed and made contribution will receive complete remission of all their sins. Listen to the voices of your dear dead relatives and friends, beseeching you and saying, “Pity us, pity us. We are in dire torment from which you can redeem us for a pittance.” Do you not wish to? Open your ears. Hear the father saying to his son, the mother to her daughter, “We bore you, nourished you, brought you up, left you our fortunes, and you are so cruel and hard that now you are not willing for so little to set us free. Will you let us lie here in flames? will you delay our promised glory? Will you not then for a quarter of a florin receive these letters of indulgence through which you are able to lead a divine and immortal soul into the fatherland of paradise? Tetzel may have been preaching in a neighboring community, but enough of Martin Luther’s parishioners were slipping over to hear Tetzel speak that he became painfully aware of what was going on. When Luther told sinners that the only effective way to find forgiveness was to repent, some of them produced a letter of indulgence from Tetzel, declaring that the matter had already been settled. Luther was outraged—after having struggled for so long to accept the loving character of God, the thought of selling forgiveness angered him. Word of Luther’s refusal to endorse the indulgences reached Tetzel, and he publicly denounced Luther. In return, Luther penned 95 theological propositions for debate, now known as his famous “95 Theses.” At noon on October 31, 1517, on the eve of All Saints’ Day, when the sacred relics of Frederick the Elector would be on display and attract large crowds, Luther nailed his document to the door of the Castle Church in Wittenberg. God on high, is this the way the souls entrusted to your care are prepared for death? It is high time that you looked into this matter. I can be silent no longer. In fear and trembling we must work out our salvation. Indulgences can offer no security but only the remission of external canonical penalties. Works of piety and charity are infinitely better than indulgences. Christ did not command the preaching of indulgences but of the gospel, and what a horror it is, what a peril to a bishop, if he never gives the gospel to his people except along with the racket of indulgences. In the instructions of Your Paternity to the indulgence sellers, issued without your knowledge and consent, indulgences are called the inestimable gift of God for the reconciliation of man to God and the emptying of purgatory. Contrition is declared to be unnecessary. What shall I do, Illustrious Prince, if not to beseech Your Paternity through Jesus Christ our Lord to suppress utterly these instructions lest someone arise to confute this book and to bring Your Illustrious Sublimity into obloquy, which I dread but fear if something is not done speedily? May Your Paternity accept my faithful admonition. I, too, am one of your sheep. May the Lord Jesus guard you forever. Amen. 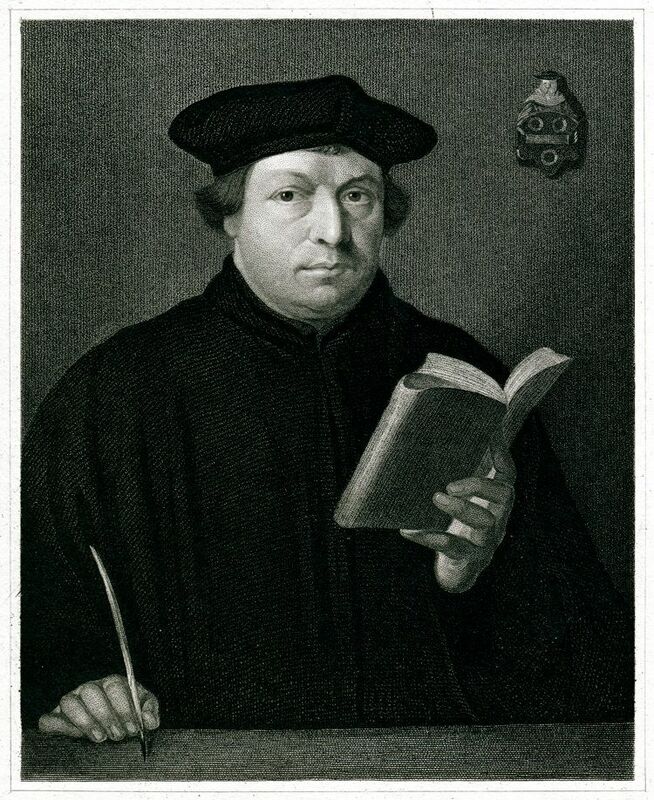 Luther’s letter was forwarded to Leo X, who responded by suggesting that Luther had been drunk when he wrote it, and would feel better once he sobered up. Luther had no need to sober up, and neither did he forget about the matter. The German public, long fed up with the abuses of the church, thought of Luther as a sort of folk hero, the man who could take on a corrupt establishment. The revenues from the sale of indulgences began to plummet. In December, Tetzel published a reply—“106 Anti-Theses”—and in Wittenberg, a mob of university students assailed the man selling it and burned 800 copies in the town square. In July, Leo X summoned Luther to appear in Rome. Luther appealed to Frederick, suggesting that Rome should not be able to extradite Germans, and the elector agreed. The German princes started to view Luther as a bargaining chip in their political and financial disputes with the papacy, which afforded Luther the kind of protection that John Huss did not enjoy. Leo then asked Luther to appear at the Diet of Augsburg (October 1518), in German territory. In the background, he started to flatter Frederick, presenting him with a much-coveted “Golden Rose” award, and suggesting that he might be next in line for Holy Roman Emperor should he render good service to the church. At the Diet, Cardinal Cajetan demanded that Luther recant, and Luther refused. The debate raged for the next few years—Luther at various times assuming a submissive tone and then re-igniting his wrath against the hierarchy. Finally, on June 15, 1520, Leo issued his now-infamous bull, Exsurge Domine, which condemned a large number of statements made by Luther. If he did not recant within 60 days, the Pope said, Luther would be excommunicated. 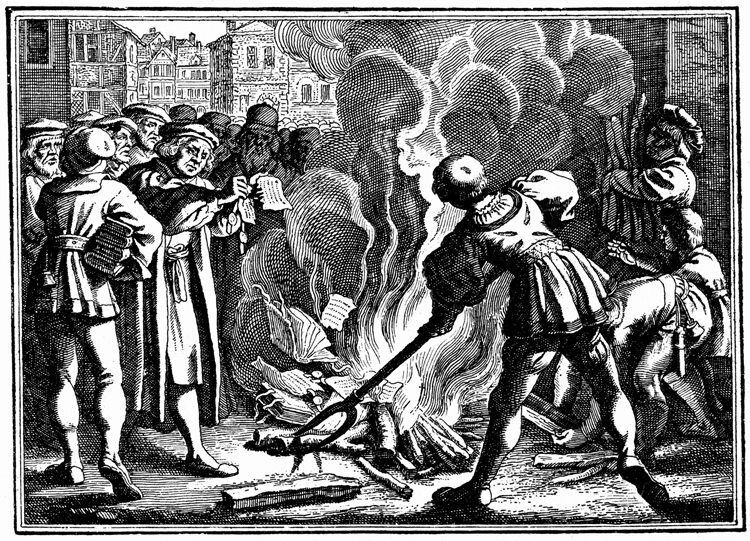 Luther’s books were burned, first in Rome, and then in Cologne. The bull reached Luther in October. He responded with a burning of his own at the gates of the university. In addition to a number of scholastic books, he burned a copy of Exsurge Domine. Since then Your Majesty and your lordships desire a simple reply, I will answer without horns and without teeth. Unless I am convicted by Scripture and plain reason—I do not accept the authority of popes and councils, for they have contradicted each other—my conscience is captive to the Word of God. I cannot and I will not recant anything, for to go against conscience is neither right nor safe. God help me. Amen. 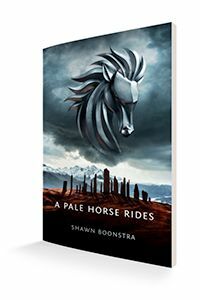 To read more about this fascinating topic, check out the brand-new A Pale Horse Rides book by Shawn Boonstra for $2.99 in the Voice of Prophecy store, or receive the book free of charge at one of many locations showing the series at the end of October. This event is totally free to attend. Shawn Boonstra traveled to locations in Europe to make these incredible stories come to life!